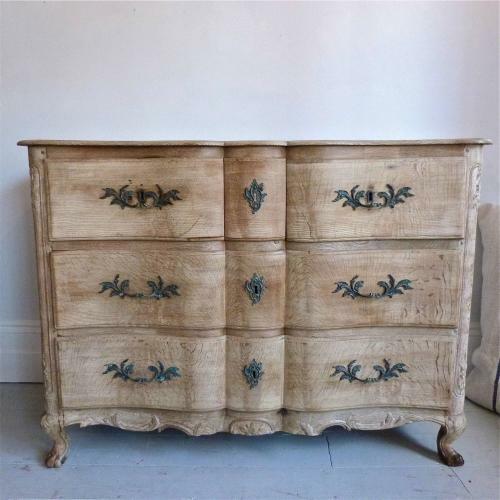 An exquisite and richly carved serpentine fronted French oak commode dating from the mid 18th century Louis XV period. This large and impressive chest features a rare drawer configuration with two smaller central blocked top drawers over two conventional drawers. With beautiful carvings to the front and sides, this chest would make a wonderful statement piece. Circa 1750.